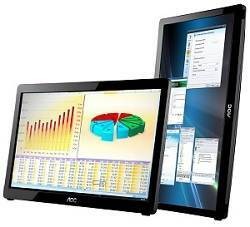 This 16" USB-powered monitor is your reliable, ultra-thin portable display that requires no external power cord. Powered from the USB port of your laptop or PC, the lightweight 16" e1649Fwu USB monitor is ideal for presentations and dual monitor displays. It comes with an attractive piano-black glossy bezel and a smart stand that allows for easy landscape or portrait viewing. 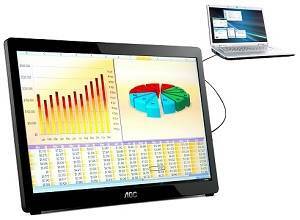 The e1649Fwu USB Monitor has a foldable smart flex-stand for viewing in landscape or portrait mode. Landscape mode is ideal for presentations and Excel sheets, while the Portrait mode conveniently gives you an easy vertical view of your instant messaging program, or sidebars such as search results. 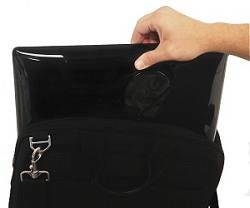 The e1649Fwu USB Monitor is the solution for the frequent traveler who needs to pack multiple displays, as it easily fits into any 15" laptop bags or backpacks. If necessary, multiple USB monitors can be simultaneously connected to a laptop to function as a multi-monitor PC, thanks to the built-in DisplayLink USB graphics. Simply installing DisplayLink software on the PC allows you to easily add multiple USB monitors for external displays without unnecessary extra hardware. 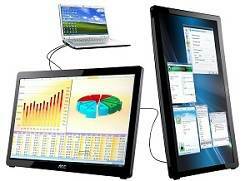 The e1649Fwu USB Monitor gives you multiple external displays for your laptop without any complications. 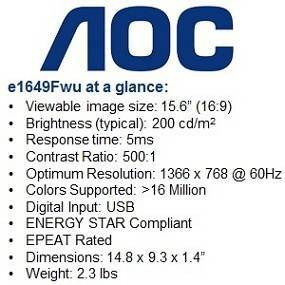 Top Level Categories for AOC E1649FWU 16-Inch 1366 x 768 16 ms LED LCD Monitor.